The other Fairy Tail guys may be going easy on Brandish, but Cana lets her know they have options for dealing with "cooperating" prisoners. 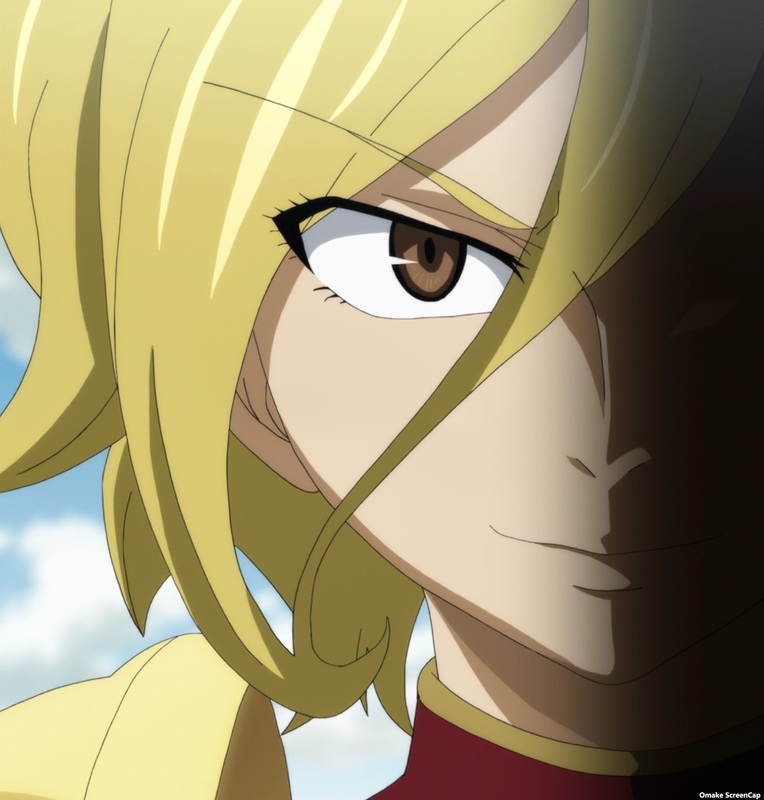 At one front in the war against Fairy Tail, Dimaria unleashed a non-fatal attack against Kagura that only wounded her pride. 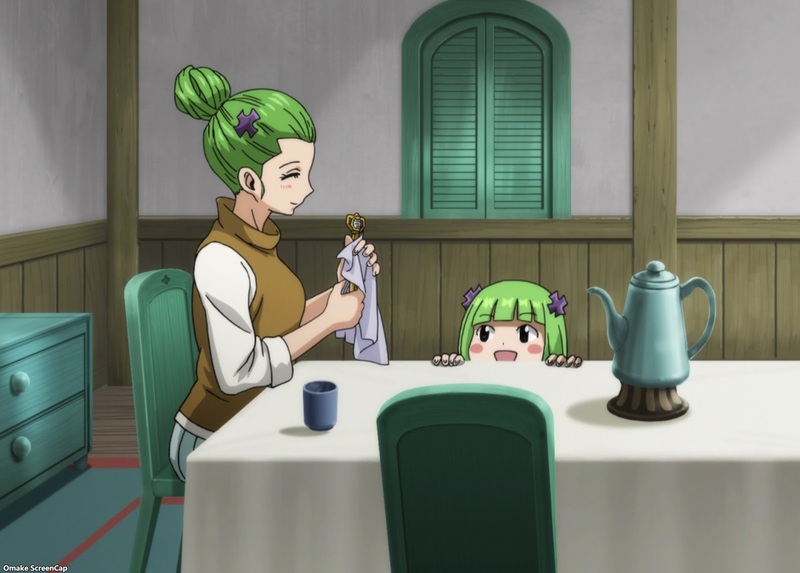 After rescuing Brandish from being choked by her subordinate Marin, she was confined to the infirmary and finally opened up to Lucy about her connection to Layla, Lucy's mother. She suspects Layla killed her mother Grammie, who used to work in the Heartfilia household. 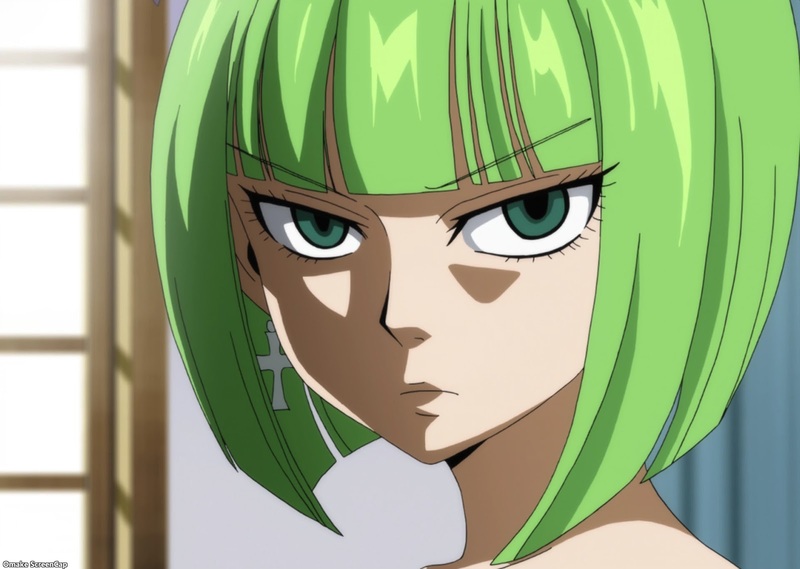 Aquarius, harsh "friend" to all lolis within her vicinity, suddenly returned and put Brandish back in her place. 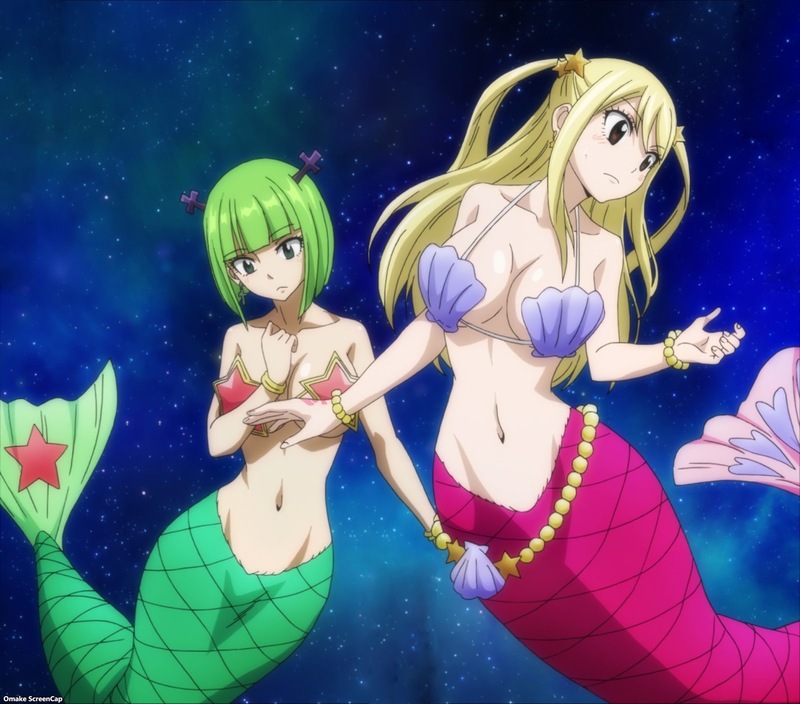 Aquarius' flashback device requires mermaid cosplay, so let's just appreciate her taste in accessories. 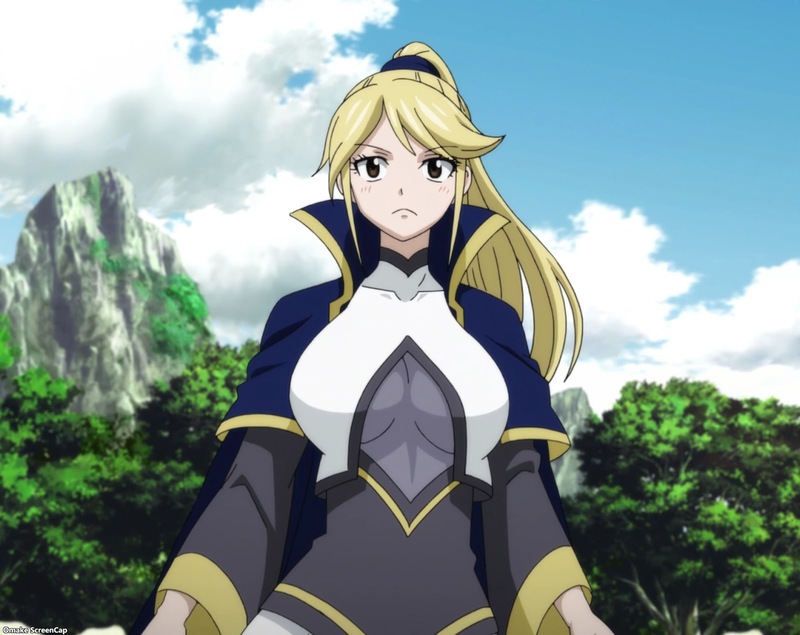 We knew from Zeref's talk with Natsu last episode that Anna Heartfilia operated the time gate from the past and that it was her descendant Layla Hearfilia that was on the other end in the future. Unfortunately, she had already retired as a Celestial Mage and given three of her Zodiac keys to beloved servants and she couldn't contact Brandish's mother Grammie, who had the Aquarius key. Layla used her life force as a substitute for the missing magic and developed magic deficiency disease. Grammie came to visit and was killed out of grief by one of the other servants. 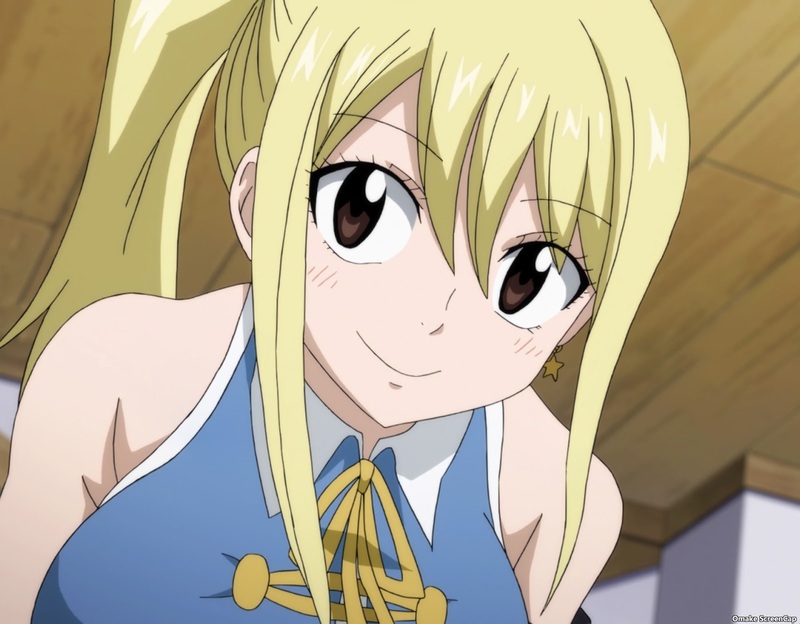 After Brandish learned that her anger against the Heartfilias was misplaced, she helped heal Natsu by shrinking a magic tumor he developed by using too much magic, like his and Igneel's. She's not really an enemy, but she's not an ally yet either, so she's still imprisoned, but at least she got her coat back and isn't in chains anymore.